In George’s garden the first of the Spring flowers are starting to show colour and provide interest. 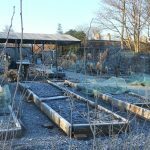 In his Joppa garden it has been a relatively mild winter even though there has been frost. 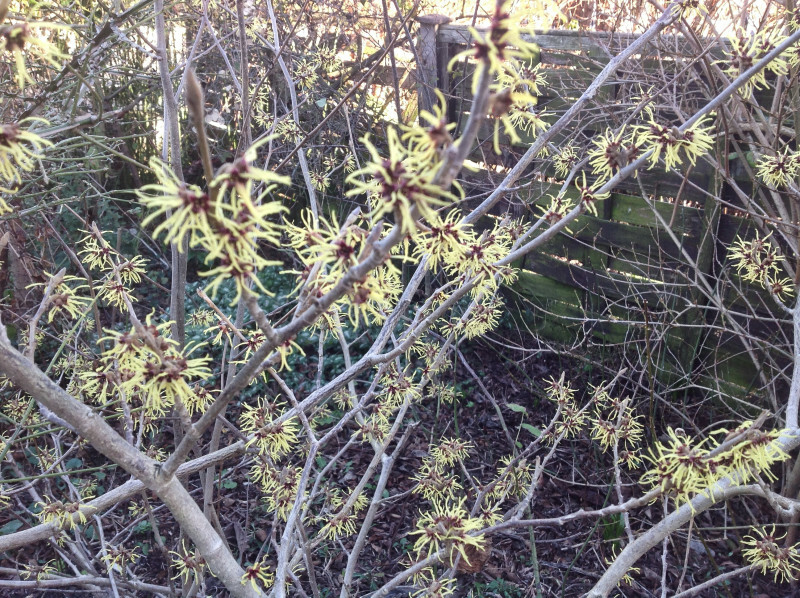 On the edge of the path leading to his front door is a Hamamelis mollis ‘Pallida’. This is in full flower and highly scented even in this cold weather. 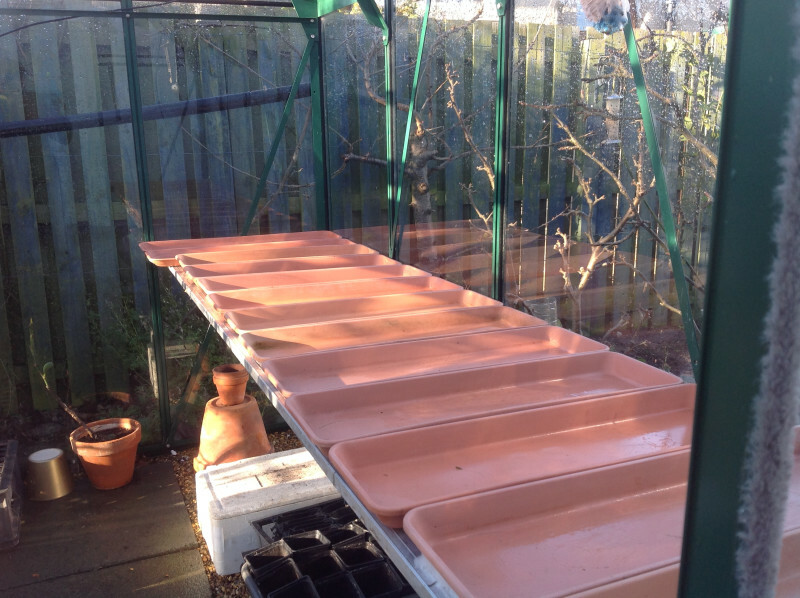 He has washed and cleaned his glasshouse in readiness for his pots of hyacinth and daffodil show bulbs. 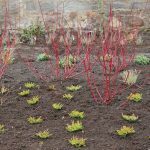 The pots of bulbs have been in the plunge bed overwinter during which time they have rooted well and started to show through the surface of the 150 mm of compost that covered them. 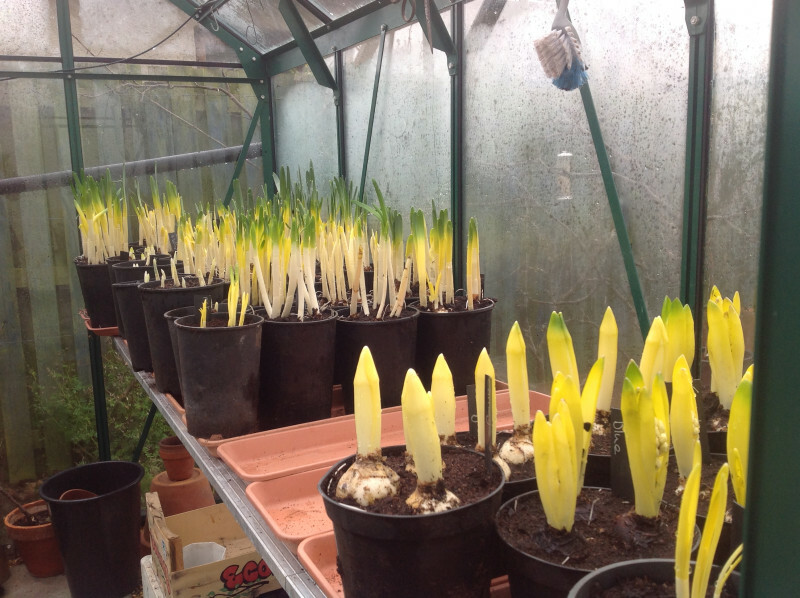 Once lifted and cleaned the pots of bulbs have been transferred to the cold glasshouse. George will give updates on their progress as he prepares them for the Caley Show. 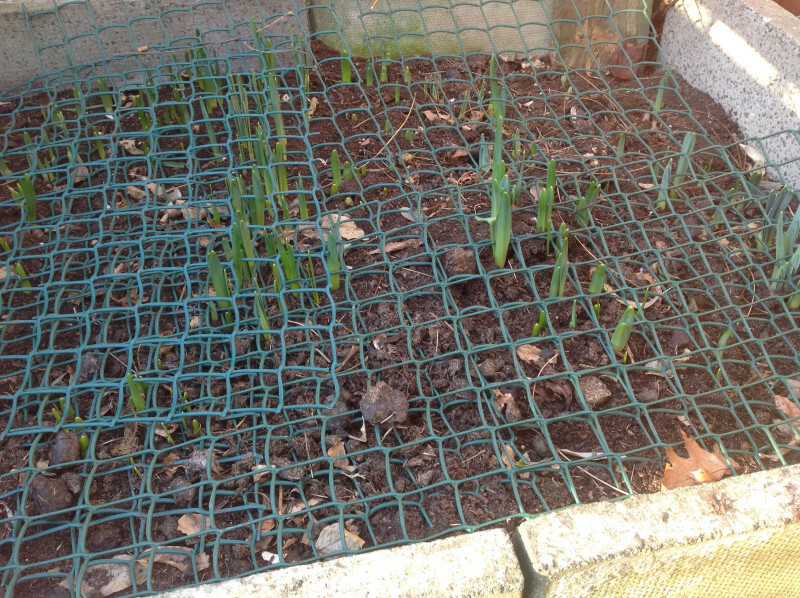 The pots of bulbs which Caley Members planted last Autumn are currently still in the plunge at the Caley Allotment. They will be lifted on Saturday 9th February.